Nightingale Properties is in late-stage talks to buy the Coca-Cola building on Fifth Avenue at a price north of $900 million, sources with knowledge of the negotiations told The Real Deal. The Midtown-based investment firm is negotiating a purchase and sale agreement to buy the 18-story building at 711 Fifth Avenue from the soft drink maker for $910 million, sources said. That price works out to more than $2,500 per square foot for the 354,000-square-foot building. Much of the building’s value rests in its ground-floor retail space, which fronts along East 55th Street and a prime stretch of Fifth Avenue, home to some of the priciest retail rents in the world. More than 40,000 square feet of that space is sitting empty, though, after fashion retailer Ralph Lauren and luxury Swiss watchmaker Breguet shuttered their stores in 2017. Nightingale’s strategy for 711 Fifth Avenue includes negotiating deals that would allow Ralph Lauren and Breguet to buy out the remaining term on their leases, which would provide the investment firm with an injection of equity for the purchase. Both leases end in 2029. Representatives for Nightingale — founded in 2005 by Elie Schwartz and Simon Singer – could not be immediately reached for comment, and a spokesperson for Coca-Cola declined to comment. Representatives for Ralph Lauren and Breguet were not immediately available. A Cushman & Wakefield team of Doug Harmon, Adam Spies and Kevin Donner is marketing the property. The brokers could not be reached. Ralph Lauren’s lease, which commenced in 2013, reportedly paid Coca-Cola $25 million in its first five years, jumped up to $27.5 million for the next five years and increases to $30 million in the last five. Office tenants include the investment bank Allen & Co. and Sandler Management. 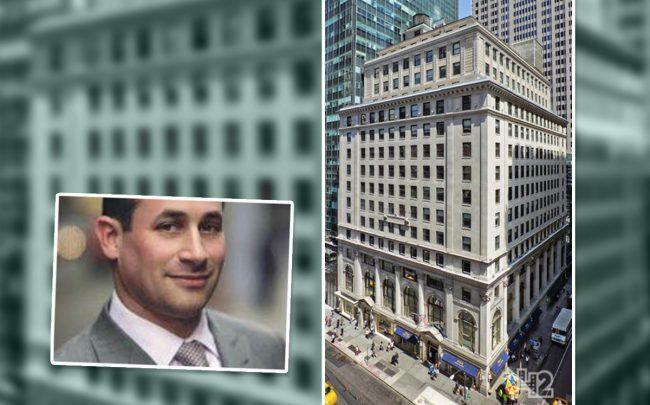 Nightingale, meanwhile, is buying the Soho office building at 300 Lafayette Street from the Related Companies and LargaVista Companies, which leased the boutique property to Microsoft. The deal, which had a contract price between $130 million and $140 million, is expected to close within the next month. Nightingale’s partner in the 300 Lafayette deal is the Wafra Group, which is owned by the Kuwaiti pension fund Public Institution for Social Security of Kuwait. Nightingale and Wafra have teamed up in the past, such as on their purchase of the 286,000-square-foot 1635 Market Street in Philadelphia in 2014. In New York City, Nightingale and Wafra were negotiating two years ago to buy 1180 Sixth Avenue from a subsidiary of HNA Group and Murray Hill Partners, thought the deal fell through. An LLC controlled by Nightingale’s Schwartz bought a penthouse at Silverstein Properties’ 1 West End Avenue last year for $18 million.